Compulsive exercise can be tricky to sniff out, given that few people consider exercise a bad thing. In fitness facilities, where more exercise is often assumed to be better, few people are even attuned to the fact that too much physical activity may be dangerous. As a result, they may interpret hallmarks of excessive exercise as signs of prowess or achievement – something to emulate, rather than worry about. Given the toll excessive exercise can take on the body and mind, however, a greater awareness about it is well overdue – especially in the venues where going overboard on exercise is most likely to occur. Approximately 3% of adults in the United States are estimated to meet the criteria for exercise addiction. Among people who pursue fitness professionally or competitively that number may be up to 25% or higher. Chronic overtraining can increase the likelihood of illness and injury and potentially cause lasting damage to the heart and possibly induce arrhythmias (such as atrial fibrillation). It can also trigger insomnia, excessive thirst, irritability and moodiness, difficulty concentrating, and chronic achiness in muscles and joints – not to mention chronic fatigue. 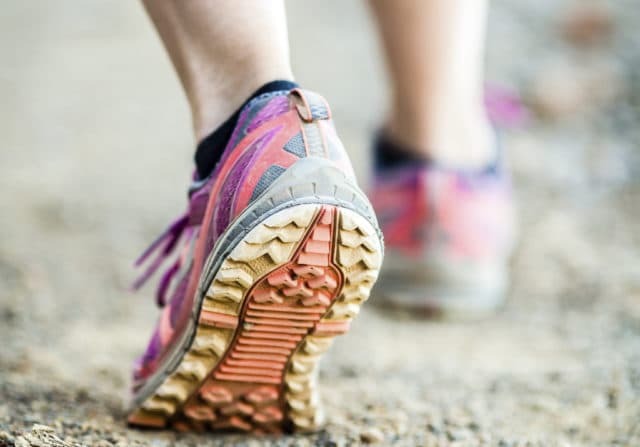 Exercising multiple times per day, despite illness, injury, or advice from a medical professional and missing out on social events or hobbies due to time spent exercising are hallmark signs of unhealthy exercise. So, too, are impairments in relationships and at work due to side effects of excessive physical activity. “Intense anxiety or depression when exercise becomes interrupted” is another hallmark sign of compulsive exercise, adds Jodi Rubin, psychotherapist Jodi Rubin, ACSW, LCSW, CEDS. Both Kelleher and Rubin agree that fitness professionals have an obligation to address the consequences of overtraining with their clients. The trick, however, is how to go about broaching the issue. For starters, anyone who works at a gym, teaches fitness, or provides personal training services should educate themselves about how to recognize the hallmarks of unhealthy exercise, says Rubin. Hence why she created DestructivelyFit, a three-hour course that teaches fitness professionals to better understand and address problematic exercise behavior in their clients. Kelleher told the woman directly that he didn’t think she should take his class anymore and he also informed management about her excessive training. “I couldn’t enable her to do what she was doing; as far as I was concerned, if I didn’t stop it, she was going to get hurt,” he says. Eventually, management suspended her membership. While Rubin agrees that gym managers and those who work in their facilities “have an ethical obligation to take care of the members and a responsibility to train their staff on how to deal with it,” she cautions against making assumptions. Rubin recalls a scenario where a gym-goer approached an emaciated woman on a treadmill to express concern only to find out that the woman’s low weight was the result of recent cancer treatments. What Can Fitness Professionals Do? Matthew Stranberg, MS, RDN, LDN, CSCS, and Walden GOALS program’s exercise science advisor, has a few tips for fitness professionals torn over what to do. If you decide to approach a client, do so “in private with empathy, care, understanding, compassion and an open mind,” he advises. Unfortunately, even if trainers do recognize a client’s problematic behavior at the gym, they may not be incentivized to help. “The business of fitness is monetized against encouraging clients to spend less time at the gym,” Kelleher points out.